It was late in the evening last year when Azazul Haque, Chief Creative Officer, Ogilvy South, had packed his bag and was about to leave for home. He must have reached the office gate when he had his eureka moment. He turned back and told his team, what if they had a team called Chonkpur Cheetahs who wanted to play the IPL. Thus was born the idea of Chonkpur Cheetahs in Haque’s head and since then the Cheetahs have been showing how Amazon.in helped them build a pseudo cricket team in the last IPL. This time around, the aspiring team has moved to Mumbai and Amazon.in is helping them in settling down in the city of dreams. 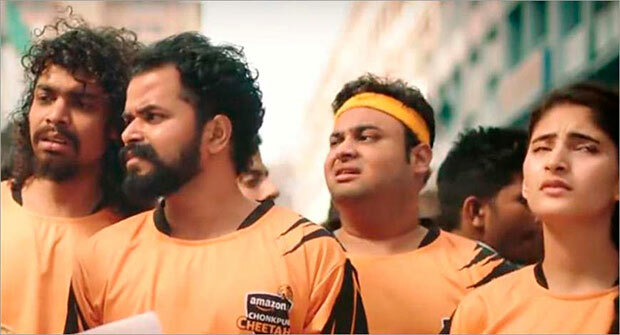 It was Amazon’s Chonkpur Cheetahs first innings with IPL, where the brand wanted to create a campaign that was clutter-breaking. Last year, through a series of nine ad films, Amazon.in attempted to show the benefits of the brand, weaving seamlessly in the form of a series. This time, it is a three-part series, and the brand will talk about the benefits of buying online vs. offline. “Last year, the core messaging was about accessibility. No matter which city one lives in, one can order anything from Amazon across the world. We wanted to layer it with a bigger brand thought of dreams because we are talking to the aspiring India. IPL as a platform is exactly that. A lot of players in the IPL teams have come from small towns and have made really big,” added Haque. The proposition of the Chonkpur Cheetahs for Amazon.in was best suited to the brand and therefore it readily agreed to the idea. The team of Chonkpur Cheetah has a good branding with Chonkpur Cheetah written on the players T-shirts. During the IPL season, the Cheetahs also had immense outdoor presence, which didn’t look forced. Chonkpur Cheetahs got their name in Haque’s figment of imagination. “The name just came to my head. I am from a small city. I must be having a residual memory of smaller towns. The Chonk here refers to surprise and amaze. It happens in advertising that great ideas come from nowhere. We have never sat down and cracked an idea,” said Haque. Outdoor and social media played a huge role in this campaign. The outdoor campaigns are always a follow-up for specific products and needs, which Amazon.in has to offer through the Chonkpur Cheetahs storyline only. Apart from the copy and art duo team of Haque and Gharat, there are three more writers and art directors working on Chonkpur Cheetahs for Amazon. 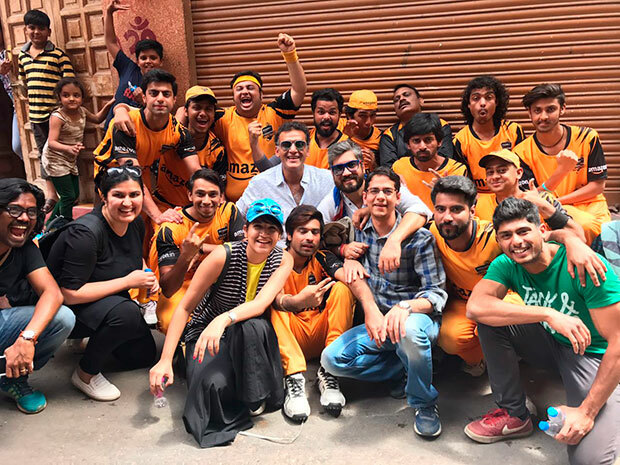 Last year, the films were shot by Amit Sharma, Co-Founder and Director, Chrome Pictures, and this year, the film has been shot by his partner Hemant Bhandari, Co-Founder and Director, at the production house. The campaign started with the logo and name being revealed on digital but it was not for television. The first television film came on the first day of IPL where the team was shown jogging with the coach who wanted to play the league. The ad depicted that they had dreams and aspirations but no jersey and other world-class equipment to become a world-class team. Then a guy in the team called Jugnu, who is always the solution provider, came up and said, “Hai na apni dukan”, which is Amazon, where you get everything. IPL being a 45-day extravaganza, the frequency of any ad shown during the time is too high. So Amazon didn’t want to bombard people with one ad all the time. 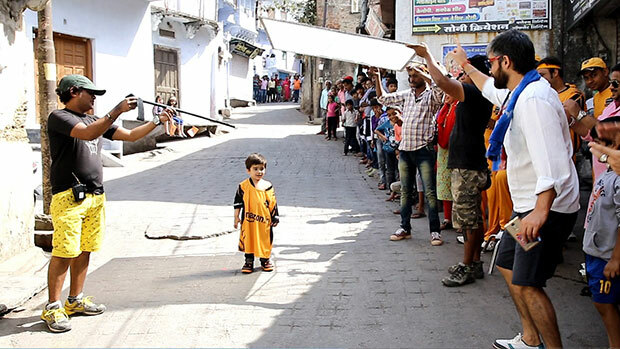 In IPL, people prefer progressive storytelling in ads where there is a sequence of ads forming a story. Viewership during the IPL is very loyal. That is why Amazon decided to have at least six to seven ads in place so that people don’t get bored. The characters of the team were detailed out at the very inception stage. 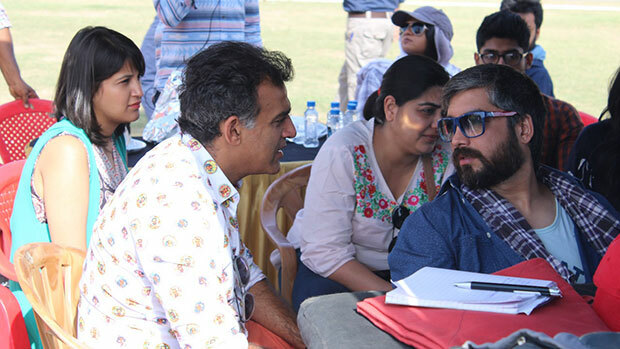 The team at Ogilvy chalked out every member’s name from Dhyani to Putti, Jugnu to Jhappi to Shamsher Pathan to Khushboo Chehak. “We thought why can’t there be a girl in the team because according to the cricket book, a girl can be a member of the men’s team,” said Haque. Puppi is inspired by Dhoni’s helicopter shot, while he has a kangaroo shot. He jumps like a kangaroo before giving a six. Jugnu is the one who would always come with a solution. Among all the ad films shot, both Haque and Gharat along with Chrome’s Sharma and Bhandari have one favourite film in common, which is Dhyani’s birthday gift. While last year, Amazon successfully positioned itself as a brand with accessibility from everywhere, this year the positioning is about how online is better than offline. The brand wanted to show the team’s progression, and therefore moved it to a big city. “This time, they are fighting against big city problems. Like in IPL, teams fight against each other; over here, it’s Chonkpur Cheetah vs Bade Shahar ke Kharche vs Shahar ki Garmi and others. This time around, while the team is busy fulfilling their aspirations, Amazon is helping them to settle down in the big city by managing their household requirements through its online services. Chonkpur Cheetahs is very close to Haque’s heart. He feels that ‘they are his babies’. Last year, the response for the campaign was massive. There were Chonkpur Cheetahs memes circulating in the market. Because it was an integrated campaign, the digital and outdoor presence was also heavy. People were involved beyond TV commercials with the team. 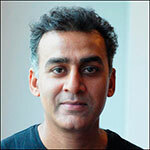 Haque also wrote the team’s theme song. 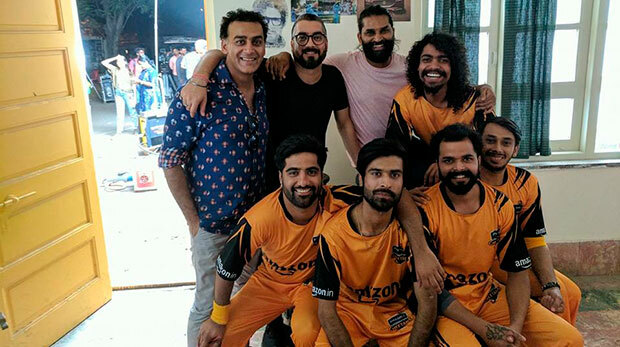 Amazon also came up with a series on digital, ‘Chonkpur ki chowk se’, which had celebrities like Anu Malik, Baba Sehgal and Brett Lee who came to meet the team and videos were made out of it.